Greetings friends and fellow crafters, today I am bringing you a project made for the Challenge 251 at Addicted to Stamps & More. The ribbon and gemstone are from the stash given to me back in 2015 by a lady downsizing her belongings. The stamp is from Studio G, and was stamped using Memento London Fog. Hope you have enjoyed this project and it has given you some inspiration for your challenge project. Very cool and funky! I have that sentiment stamp. I think I am going to give it some love! What a great card for a man and I love that sentiment! That ribbon is something I've never seen before and you made it the inspiration for your card, LeeAnn. Way to go! Fabulous card...what a wonderful piece of ribbon too, love your wonderful card. 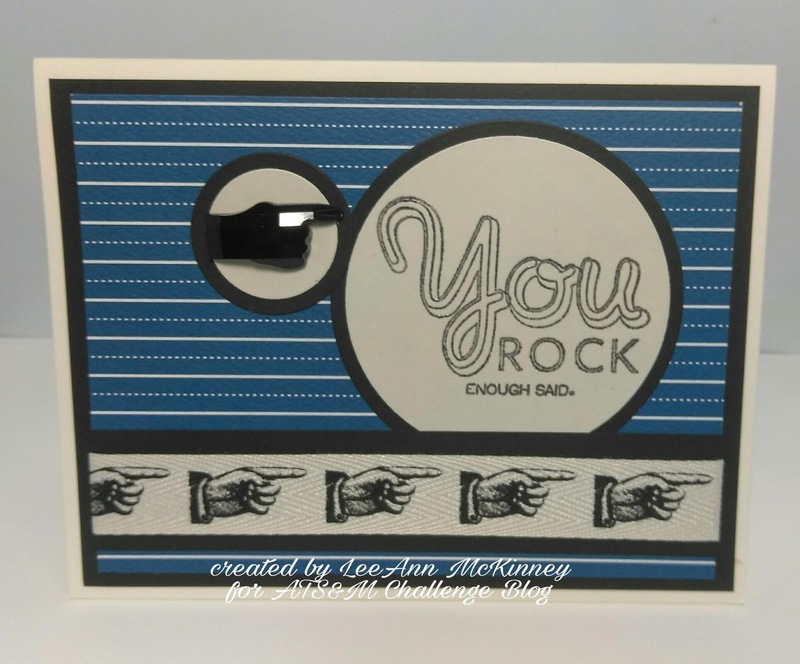 Sentiment says it all: your card ROCKS! Love it! Very cool masculine design, LeeAnn! Love the sentiment.